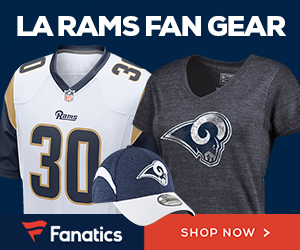 We have partnered with Fanatics.com to bring you the very best in high quality Rams gear. Fanatics.com offers the largest selection of Rams merchandise online. Quality name brands such as Nike, NFL Pro Line, and others. There are THOUSANDS OF PRODUCTS available incuding some cool vintage merchandise.